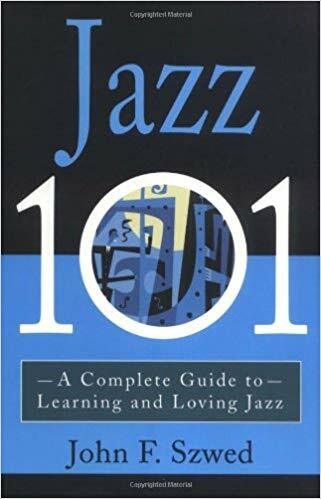 Today we’ll be continuing our discussion of John Szwed’s “Jazz 101: A Complete Guide to Learning and Loving Jazz“, with a look at the sub genre of jazz-rock, which came about during the late 1960s and 1970s. Last time, we looked at the era of the 1970s, and saw how the culture from the 1960s bled into the next decade. We saw the rise of experimentation, and blending of genres that began, as well as the drop in popularity jazz as a genre suffered. Now we’ll turn our focus to the new generation that was rising up, taking inspiration from jazz, and making it their own. Would jazz-rock become the next step in the evolution of jazz, or a signal that the genre was past saving? The first efforts that began pushing toward jazz-rock came from a new generation of younger players. For the most part, these players weren’t yet established in jazz, and so felt more free to experiment with their compositions and styles. One big trend that rose up was the use of electric instruments in jazz ensembles. While this was a trend that was growing, it wasn’t unique to jazz-rock. “Guitars were first amplified in jazz, Sun Ra and Paul Bley had used synthesizers and electric keyboards almost from the day they were invented, and the electric organ had long been a jazz mainstay” (p. 261). And as far as jazz-rock being a young man’s game, Miles Davis was actually the first to flirt with rock in his recordings with several groups. These groups stood at a midpoint between free jazz and rock, but they were not by any means rock bands. “Collective improvisation, the range of volume, the importance of space, the rapid shifts in meter, tempo, and mood, the absence of vocals — these were not the characteristics of a rock band” (p. 262). While Davis’s experimentation and relationship with rock elements broke barriers, the style was not a particularly popular one. Few rock fans enjoyed it, preferring the harder rock being released. And jazz fans weren’t fans of it either, probably because it didn’t sound enough like “jazz”. “Just as Davis’s ’70s music was not rock, and not always jazz-rock, it is not clear that those who followed in his footsteps fit easily under those rubrics” (p. 263). In 1977, Coleman released a new album, “Dancing in Your Head”, with two electric guitars and a bass in the group. Understandably, people assumed what he was making would fall under the category of jazz-rock. “But the drummer was not playing a backbeat, the bassist was not running repeated rhythm patterns, and the two guitars were thickly intertwined” (p. 265). Coleman called his new method of playing and composing “harmolodics”. 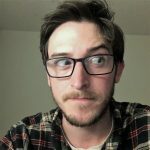 While Coleman himself failed to go into detail surrounding the term, Szwed gives us his own explanation. “In musical terms, harmolodics is a way of conceiving how instruments fit together, whether it be in unison, in harmony, or in counterpoint” (p. 265). Later, Coleman addresses the point of harmolodics, and the impact he imagines it can have. “The point of harmolodics, Coleman insists, is to liberate the individual by breaking down the constraints and barriers created by conventional music theory and practice” (p. 266). Some of Coleman’s innovative techniques and use of harmolodics were caught on and adopted by punk bands in the ’70s. “…the funky swirl of popping basses and the scratch of crosshatched guitars were something of an epiphany for bands like Defunct, Material, and James Chance and the Whites, who saw that it was possible to combine ’60s emotionalism with heavy funk” (p.267). 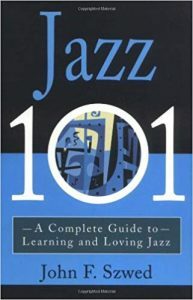 “Coleman’s harmolodics seemed to suggest to some of the out-rock groups that it was not necessary to actually play jazz, but merely to imply it, or even just to be it” (p. 268). The 1970s were a time of great cultural change. And, if we’ve learned anything so far, it’s that the evolution of jazz mirrors that change. Sometimes it causes it, and other times it adapts. But through all of it, time and time again, there have been musicians who continue to push the boundaries. Who continue to question, invent, and change. And when they pick up enough steam, others follow in their wake, change the musical landscape, and it all starts over again. We’re closing in on the end of this series soon, with maybe four or five more chapters to go. I’ve thoroughly enjoyed the ride so far, and hope others learned as much as I have. But we aren’t finished just yet. Next time, we’ll dive into the state of jazz throughout the 1980s and 1990s.